This second day was our only rainy/poor weather day of the trip... and I'm actually really glad we got to see it! As we drove south from the Alps to the Northern Italy Coast we looked out our windows adoringly. Caleb couldn't stop talking about the towns "nestled" into the hills, "tucked" into the land, and "perched" on the cliffs. The fog puffs rolled in and out and it all felt cinematic and brooding. We loved it. I'm SO glad it rained. Otherwise we may not have stopped and made an indoor solution work. And this was one of the best memories of the whole trip. 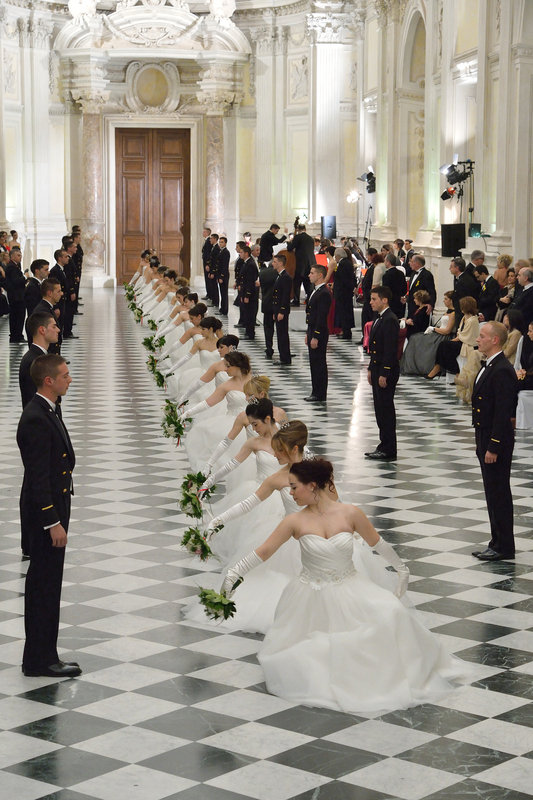 It was not crowded in the slightest, the kids could roam around the big rooms, and then run around the Galleria Grande. I was happy as a plum to take our time enjoying the splendor (snapping pictures furiously) and Caleb inspected the doors, trim, and engravings in awe. There are 54 rooms to go through (I don't think we hit them all! haha But we did at least a few dozen!) filled with history of the home. It was built in the late 1600's by Charles Emmanuel for, what I can tell, basically a bragging right and "honor" for his wife, Marie Jeanne Baptiste, Regent of Savoy. It was all the rage. Buying towns and building manors. It was also his hunting lodge *straight line mouth emoji* It turned into a military hub during Napoleon's era and was used as a training facility by the Italian government much after. But now, happily, the gardens and buildings are restored to their former glory... and glorious they are! The art and building detail was head-spinning. Like walking through Tuscan Pemberley. This item on display was one of my favorite parts of the visit: an enormous hand-drawn family tree. The intricacy and printer-like quality...! When I shared a picture from this visit on Instagram, a few people asked me how I took such a great picture while traveling. The quick answer? We had ton of time, no crowds to fight, and I wanted to! Haha The longer answer is, well, you know "the best-laid plans of mice and men..." Just because a mama is hopeful doesn't mean "it" is going to happen! My general rule of thumb for travel pictures with the kids is: setting and characters. Meaning, I'll take pictures of the places and the stuff ("the setting") all on its own, and then try to get the kids against a wall or on a bench or anywhere, really, during that day. I know I can compile these images together for an album, or, say, a blog post, to tell the story of the day. I don't HAVE to have the kids in all the stage-setting shots, since Lord knows they're probably face-first into the stroller basket looking for a cookie. "Never try to make a happy child happier!" And certainly never try to make a happy child upset haha! If I've been able to do both things I start to gain traction and courage and think about getting the characters IN the setting. If anyone ever offers to "take a picture of the four of you" I always say yes (we had a number taken this trip... and a couple were perfect!!). Then once the kids have been documented I sometimes let myself try to get a shot of just Caleb and I that isn't a selfie. Practically speaking, this means I'm manning the camera and he's manning the kids for the most part. When I've gotten what I want (or things are starting to fall apart and I'm needed), I put my camera away and turn that part of my brain off. And for me, since I am a photographer, having my camera out and being in "picture mode" doesn't take me away from the present. Truthfully, when I'm even taking pictures with my phone I feel that pull away from the moment -- tapping a screen and seeing it through a flashcard size window. But when I am using my camera it's almost a tool to focus in on the moment; to absorb the scene. Maybe how some journal about a travel day or listen to certain music to set the tone/memory in place. I believe what I'm doing is useful and good for our little family history; something we and our kids and hopefully their kids! will look back on someday and I also find it personally fun. Anywho, there's the long answer! I was worried we wouldn't get pictures of us "in the setting" and I couldn't stand it because everything was SO beautiful. I took a few of Rowdy playing, and then selfies in a mirrored door... but I needn't have worried! There was pleeeenty of time for pictures, and even setting the camera aside in the Galleria Grande. This is the exact view you see when you push past the curtain doorway to enter the room. We stopped in our tracks and my heart began to race. Overwhelming in the grandest, most inspiring ways. We spent about 20-30 minutes in here! The kids played tag, rolled on the floor, looked out the windows, and enjoyed their echoes. We could not BELIEVE that no one else was in here!! Other groups walked through and I saw maybe two people snap a picture. But no one stopped. Everyone just walked through like a hallway. I guess when you're from Italy and you've seen it all, this ain't much? I don't know. We were enthralled. Right before we were ready to go I thought Caleb and I should try to get a pretty shot. This was the luckiest iPhone selfie ever. One try!! (Caleb had been so sweet, too. He grabbed me up in a big swaying hug and burst out "This is so romantic!" I love his easily-moved, affectionate wonder. That's part of why I wanted a "real" picture of us to remember. It had been a "real" memorable moment not just as a family, but as a couple. He brings out the softie in me ;) And even convinced me to be in front of the camera solo. *horrors* it didn't last long but... that happened? Ps. They host an actual Grand Ball here! Look! Up next! Portofino & St. Margherita!